The entire CSUN creative writing community invites you to join us in celebrating Martin Pousson’s new book, Black Sheep Boy, with a reading on campus. The reading will take place next Tuesday, November 1st, at 4:30p.m., in our LNJ Room (JR 319). Hope to see you there! Today, on this very night — October 27th! — the Northridge Creative Writing Circle will be having a costume party and reading event at Menchie’s, in Chatsworth: 9201 Winnetka Ave. Unit E (by the Winnetka Pacific Theaters). The event takes place from 7:00 p.m. to 9:00 p.m. and is a fundraiser, so grab a flyer in the main English department office, ST 708, before you go, and the NCWC will receive 20% of the evening’s profits. Don’t forget to wear a fun costume and bring something brief (five minutes, or less) to read. Fundraising continues through October 30, so bring another flyer and enjoy. Speaking of the NCWC, two additional upcoming events include a Submit Yo’self Publishing Seminar on November 2, at 7:30 p.m., in JR 352, and a November 17 reading by Natashia Deon & Dana Johnson, at 7:30 p.m., in the Whitsett Room. The all new, online, Northridge Review is a literary and arts journal of the present, produced by students in the creative writing program at California State University, Northridge. Founded in 1962 as a campus publication of student work, Northridge Review now seeks to broaden its scope and join the larger literary community by moving to an online format and publishing exceptional student work alongside established and emerging writers from across the globe. We encourage submissions of timely, provocative, and innovative Prose, Poetry, Drama, and Art that pushes boundaries in subversive, disruptive, or other challenging ways. To submit visit: https://thenorthridgereview.submittable.com/submit. Submissions for the inaugural online edition (to be published in the spring) will close November 23, 2016. On Friday, November 28, the Graduate Reading Series will be holding an event, featuring student readers: Eric Perez, drama; Starlon Hithe, writing; and Eric Smith, prose. Come join in the fun and support our fabulous writing students. The reading begins at 7:00 p.m. in our LNJ Room (JR 319), and is free and open to all, including children under five, with free snacks. Every year the Dean of the College of Humanities asks that we solicit from our students a few lines of poetry or prose that would be suitable for the holiday card that the College sends out. It’s a lovely honor — the card includes the lines, plus a bio of the student author (and bragging rights, of course). Typically the Dean is interested in free verse that captures something of the season in fresh language, so please let your students know, and if you see something they have written that might be appropriate, please send to along to Dorothy Barresi (dorothy.barresi@csun.edu), who is generously overseeing the selection process. Provision 20.37 of the Collective Bargaining Agreement (CBA) between the California Faculty Association and the Board of Trustee of the California State University (2014-17) designates the awarding of assigned time (in the form of Weighted Teaching Units, WTU), on a competitive basis, to Unit 3 faculty employees “who are engaged in exceptional levels of service that support the CSU’s priorities, but who are not otherwise receiving an adjustment in workload to reflect their effort.” Awards are designated for workload beyond the requirements of regular faculty assignment in enhancing the student learning environment. Don’t be shy–this could be you. The application deadline is Friday, November 4, 2016. For more information, including application forms, please see the Office of Faculty Affairs webpage: http://www.csun.edu/faculty-affairs. Here’s one for our budding children’s lit authors: the Society of Children’s Book Writers and Illustrators is currently accepting application from full-time university students in an English or Creative Writing Program for scholarships to its 2017 SCBWI Winter Conference in New York, February 10-12, 2017. The scholarships feature: full tuition to main conference events including keynotes and breakout sessions, exclusive exposure to industry professionals at the conference, and a SCBWI Conference advisor to help navigate the jammed-packed weekend. The deadline is coming up soon — November 2, 2016–so check out the details at http://www.scbwi.org/awards/grants/student-writer-scholarship/. One graduate student and one undergraduate student will be selected for this conference, and one of each will also be selected for a conference next summer. Kate Haake has published a quartet of micro fictions, “Some Time After That,” in the newly released fall 2016 issue of Chicago Quarterly Review. The stories — “A Festival of Fish,” “Not Here,” “How We Started,” and “Assumptions We Might Make About the Postworld,” are accompanied by art work by Los Angeles writer, Lisa Bloomfield. It’s that time of year again, and applications for the CSUN Research Fellows Program, funded collaboratively by the Office of the Provost, the Colleges and the Library, are now open. Tenured and probationary faculty are invited to submit proposals to become a Research Fellow. Nine research fellowships will be awarded each academic year (one per College and one in the Library). The CSUN Research Fellows Program provides 12 units of reassigned time and a small research support budget for those who are selected. Faculty who are interested in becoming a Research fellow must submit proposals, no longer than five pages, including any additional budget request up to $5,000 to the Dean’s Office by 5:00 p.m. on January 27, 2017 on the College-provided proposal form. A resume must also be attached. The form will be available on the College website. Look for it soon. Even though it’s just October and some of us are still mastering our students’ names, mark your calendars now for the term-end Department party, currently scheduled for December 9. The holidays will be upon us before we think to even anticipate them. Angela Morales, winner of the 2014 River Teeth Nonfiction Book Prize for her collection of essays entitled The Girls in My Town, will be reading in JR 201, on October 26 at 2:00PM. Morales is an English teacher at Glendale Community College and a graduate of the University of Iowa’s Nonfiction Writing Program. Her essays have recently appeared in Best American Essays 2013, The Southern Review, The Los Angeles Review, and The Harvard Review. The Girls in My Town was published by the University of New Mexico Press. This promises to be a very special event, do let your students know. 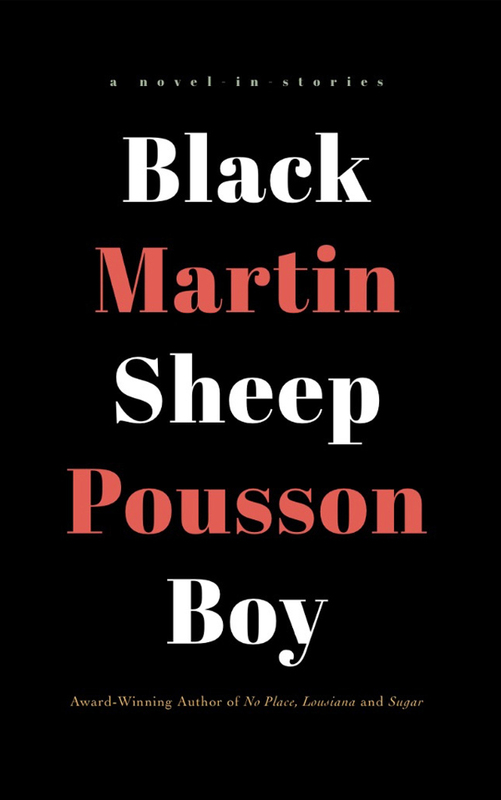 And here is another very special event: a reading and celebration of Martin Pousson’s new book, Black Sheep Boy, which will take place on Tuesday, November 1 at 4:30PM, JR 319. In an effort to support CSUN’s international student community, the Oviatt Library in collaboration with the International Exchange Student Center (IESC) will be hosting an event and workshop on October 14th at 2-4PM at the October 14, 2016 at the IESC. The Center is located in the University Student Union, building C. The aim is to inform and assist international students about how the Oviatt Library can help them succeed academically, learn to analyze and engage with resources that are retrieved from the Oviatt Library, and avoid plagiarism. The workshop will provide incentivization for attendance and participation (i.e. lunch, opportunity drawings). For more information please direct your students to our website: http://library.csun.edu/events/iesc-plagiarism-workshop. Please let your international students know about this important event. Did anyone ever help you out when you were in a tight spot in school? Or was there someone you always knew you could turn to for guidance, information, or support? CSUN’s Don Dorsey Excellence in Mentoring Awards acknowledges just such contributions, and you have until Monday, October 31, at 5 p.m. to nominate someone you know and admire. Faculty, staff, and administrators may be nominated for these awards, which recognize exceptional mentoring of past or present CSUN students; holistic approaches to mentoring, including academic and personal support and in informal and intangible ways; and/or proactive involvement in the university’s commitment to the success of students of diverse backgrounds and communities. For more information, contact Glenn Omatsu, Coordinator, Faculty Mentor Program, EOP Central, University Hall 205 (campus mail code: 8366); e-mail: glenn.omatsu@csun.edu. Meantime, mark your calendars for Wednesday, November 16, from 5:00 to 7:00 p.m, when a reception honoring this years recipients will be held. Tomorrow night, don’t miss: Friday, October 14, at 7:00 PM in Jerome Richfield Hall, Room 319, a new monthly film series, “Reimagining Narrative,” returns with a screening of Věra Chytilová’s Daises, which has been described as “an aesthetically and politically adventurous film that’s widely considered one of the great works of feminist cinema.” Free & open to the public, this new monthly film series seeks to create a space for interdisciplinary study and discussion of innovative narrative forms. The organizers hope to build on the success of the previous screening, which garnered 30+ audience members and a spirited conversation. Curated and hosted collaboratively by Dr. Christopher Higgs, Assistant Professor of English, & Katharine Mason, M.A. candidate in English, each film in the Reimagining Narrative series will be introduced & contextualized prior to screening, with an open discussion to follow. And (another reminder), most of us will already be here because of tomorrow’s not-to-miss either Department meeting. This one is for students, and it’s big, so please help spread the word: the Los Angeles Review of Books and the University of Southern California are launching a new summer publishing program designed to provide an immersive, five-week training designed to prepare students for the publishing world of the future. The new program, the Los Angeles Review of Books / USC Publishing Workshop, will have its inaugural session in summer 2017, and be hosted on the USC campus. Open to rising juniors, seniors, and graduates from any college or university, nationally and internationally, interested in a career in publishing, LARB‘s first priority is to make the program available to all qualified applicants, regardless of their ability to pay, and is strongly committed not just to training the publishing professionals of the future, but diversifying the industry. More information on the program and application instructions are available here: www.thepublishingworkshop.com. Christopher Higgs experimental memoir, As I Stand Living, has been selected for publication by editor Janice Lee at the well-established independent publisher Civil Coping Mechanisms for inclusion in their innovative #RECURRENT book series imprint, an ongoing series of exceptional writing…[that] seeks to push the boundaries of narrative with books that seek to reconstruct, reimagine & expand on existing narrative spaces.” Many, many kudos, Chris! Noreen Lace published a story, “Harvey Levin Can’t Die” in the August/September issue of Giggle Galore. Martin Pousson‘s invited review of The Right Side of History: 100 Years of LGBTQI Activism has just been published in the current issue of The Archive (https://www.leslielohman.org/the-archive/no58/issue58.pdf). Always a good source for updates on students success, Martin reports the following: Kaitlin Pollard (BA Spring ’16, English CW) has been promoted to Marketing Communications Associate at SAGE Publishing; Justin La Torre (BA Spring ’16, English CW) has been hired as Marketing Communications Writer for Anthem; Leticia Valente (BA Spring ’16, English CW) has been hired as Volunteer Coordinator for LitCrawl LA. ; James Bezerra (MA Spring ’16, English CW) has begun the MFA Writing Program at Portland State University. Thanks, Martin! Keep us posted. Kim Young has new poems in Hotel Amerika, [PANK], Strutco, and the Cincinnati Review, where she received an honorable mention for the Robert and Adele Schiff Award in poetry.